Shiawase wa sora no ue ni. Kanashima wa tsuki no kageni. Best known under the alternative title "Sukiyaki" in English-speaking parts of the world. Sukiyaki is a japanese food which has nothing to do with the song but marketers thought it would sell more. 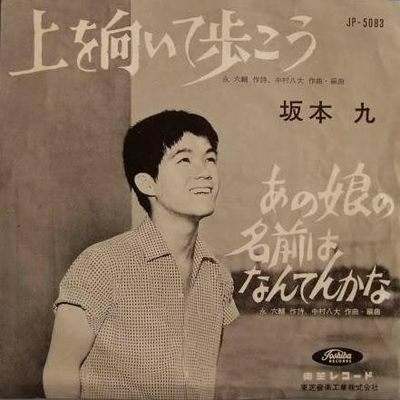 Actually the song reached the top of the Billboard Hot 100 charts in the United States in 1963, and was the only Japanese-language song to do so. In total it sold over 13 million copies internationally. There is also an English language version with altogether different lyrics by Jewel Akens under the title "My First Lonely Night" recorded much earlier in 1966.